The government's proposed multinational tax avoidance reform is designed to focus on about 30 companies and pick up their tax avoidance activity. The mining tax outcomes illustrate the folly in making up figures without basis. Political grandstanding about costing or anything else won't help advance this important issue. Isn't the legitimate question why the reform is restricted to avoidance activity rather than all Australian profits? Shadow assistant treasurer, Andrew Leigh said it was "astonishing that the government would propose a significant change to Australia's tax laws without having any idea what the implications of this will be". 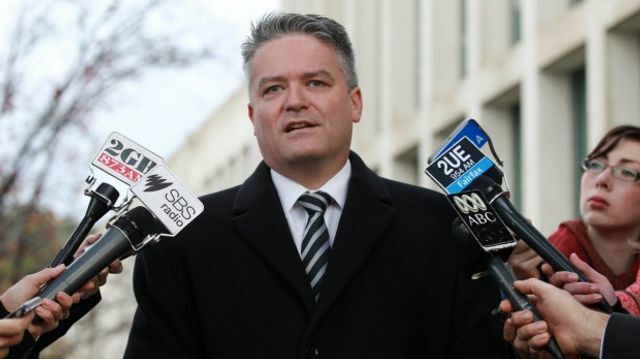 "Joe Hockey's best effort features a proposal so flimsy that the country's brightest economic minds in Treasury can't even cost it," Mr Leigh said. "This may be the clearest example yet of Joe Hockey's erratic and slapdash approach to managing Australia's economy."